Remember the Alamo . . . Why? The battle of the Alamo took place from February 23, to March 6, 1836. As I understand the history of the Alamo, it is a symbol of . . . well, what is it a symbol of? As I understand the history of the Alamo, it is a symbol of . . . well, what is it a symbol of? It was originally a mission, but it isn’t a symbol of religion. In 1821 Stephan Austin took over a contract that his father had with Mexico and three hundred U.S. families went to Mexico and signed papers making them Mexican citizens, for which they were given free land. “The foreigners were to be Catholic, industrious, and willing to become Spanish citizens in return for generous land grants.” So, people from the United States went to Mexico and got free land. 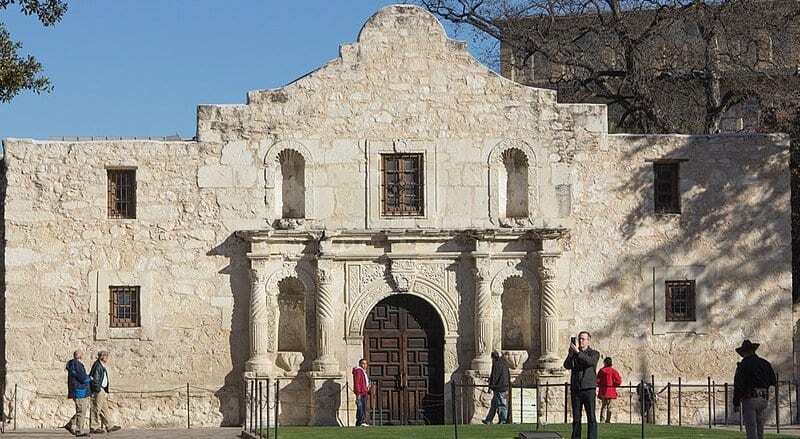 So, is the Alamo a symbol of desertion? Emigration? Then these people decided Mexico wasn’t big enough for them and other Mexicans? So, do we celebrate them as traitors? Or racists? Within only a few years even more Americans settled on their own in Mexico and then finally decided they wanted their own country . . . and didn’t want to abide by the law of their adopted land. They rebelled and took arms against their country. 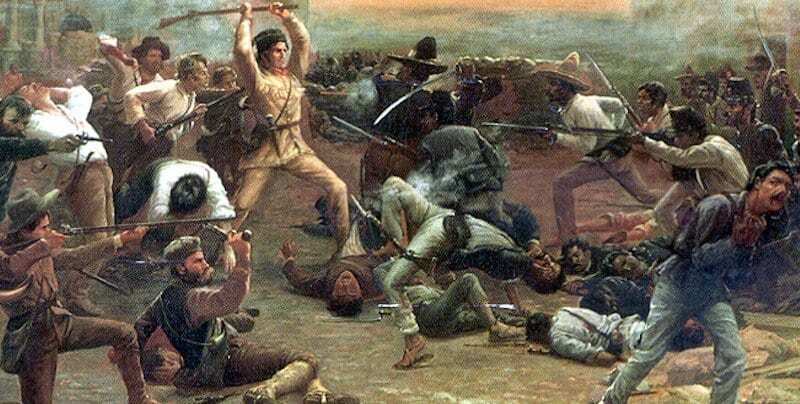 Some Americans, mostly white Americans, including a few celebrities, joined them at the Alamo where they killed hundreds of other Mexicans and ended up being killed themselves. So, do we celebrate the Alamo as a symbol of justice? Some Americans, mostly white Americans, including a few celebrities, joined them at the Alamo where they killed hundreds of other Mexicans and ended up being killed themselves. In an era when we are tearing down monuments to rebels and racist leanings, should we not tear down the Alamo? Your thoughts, please. Are you saying Davey Crockett was a traitor? I was in love with Fess Parker/Davey from first to third grade! Now this. ? Hmmm, also wonder what Fess is short for? I had my coonskin hat and Alamo figures to play with. I think the Cummins were even related to Daniel Boone, which Fess Elijah Parker, Jr eventually played. Maybe he shortened his name from Festus on Gunsmoke. My favorite character by the way. Besides . . . how many men did you love. I thought you gave your heart to Hugh O’Brien . . . or Wyatt Earp. Yawn. So tired of people trying to find fault with our country, sowing seeds of discontent, constantly looking for issues to raise eyebrows. You have the right to do so, but if you don’t like this country for whatever reason, please go live in another. And if you claim that you are only doing so to make this country better, once again I invite you to leave. By doing so, you will help succeed in making this country better. What amazes me is how so many people hate this country and/or want to bring it down. Yet, how many other countries do we read about where people are willing to take the chance, even to the point of possibly dying, to get into the United States; people huddled in ship containers, in truck trailers and non-seaworthy boats? Can you name even one? I will continue to love this country, have done my part to fight for it, and believe it is great. Our country is not perfect and people are never perfect. I know I’m not. But that doesn’t mean we can’t face change. We should always be proud of where we live and who we are. However, there’s always room for improvement. Thanks, again. Please, continue to read AND sharing your comments. Saying people should leave the country if they aren’t 100 percent happy with it is just a lazy argument. By your logic, our country should have stayed under British rule and remained loyal and happy. Pointing out flaws, whether or not you agree with them, is one of the things that makes this country great. Isn’t that what many citizens of England did? They didn’t like the way things were going in England, so they left, came here, and eventually started a new country. Some may have even returned to England. Last Saturday, I spent about 4 hours visiting the Alamo and listening to speakers relating the history of the Alamo and reading all the literature about the history of the Alamo and the battle of Texas seeking independence from Mexico. Upon reading your article, I wonder if you have studied or experienced the educating talks of the historians relating the history of the Alamo and its importance to Texas history. I love history and found out long ago that many times that things are not always as they seem. The Alamo was important to Texas history and to our expansion, but at what cost? My grandmother traveled in a covered wagon from Texas to Oklahoma and then continued on to Arizona. When the rains didn’t come and the farm and homestead failed, her family finally retreated to Oklahoma. Thanks again for reading and writing. I love comments. When I recently disagreed with a person regarding the current wave of erasing history, I was told that “History is written by the victor”. While an argument could be made for the fact that the Spanish, then Mexican governments, were the “wronged” party, Texans will certainly continue to view it as a symbol for the fight for Independence. I mean, these people were under the invitation of the current government. Just because they suddenly disliked their present government for little things like under representation in the legal system, taxation without representation and equality in market goods… and a government that certainly did not restrict using the military to enforce unfair policies. All items that we currently use to defend the cause of the American Revolution for Independence. If Spain/Mexico had learned from the causes of the American Revolution, it is possible that Texas would still be a State within Mexico. While the “Americans” did take the invitation to leave the United States through the offers of land and agreed to become citizens, they carried with them the seeds of independence. I always love your comments. Keep reading and writing!!!! Independence. A scary term. As our world ages and becomes smaller I think we become more dependent. Look at the current flu season. Just as we need other people to be well, so we don’t get sick, we need to stay as healthy as we can to help others. Perhaps, one day countries will cease to exist . . . or maybe the Yellowstone caldera will solve most of our problems. You might consider sticking with restaurant reviews instead of rewriting history. The Alamo? Really? Did I get any of the Alamo facts wrong? Everything comes down to interpretation. Restaurant reviews, history, and cartoons even. You never know what will please everyone or anyone for that matter. But, if we don’t share, we’ll never know. Please, continue to read and commenting. We won, they lost, that’s History! Sit down and shut up! That’s We U.S./ Texans won in the long run, Mexico lost! Would the name Stetson have anything to do with your response? Whenever I travel, I like to take the back roads to see what the country is like and rub shoulders with the people. On a trip to Texas a friend and I drove through a small town. We saw a small fair going on so we stopped and wandered through. A woman approached me and asked if I would like to buy a raffle ticket. I asked what the prize was. “A huntin’ rifle, Hon.” When she said it could be shipped to Tacoma, I bought two tickets. I’ve been in Texas four times . . . watched the Huskies lose once and win once . . . road the bull at Gilley’s . . . ate alligator . . . swapped recipes with a Texas Chili champion and drank some Lonestar. I loved every minute I was there. Grandma was born there.